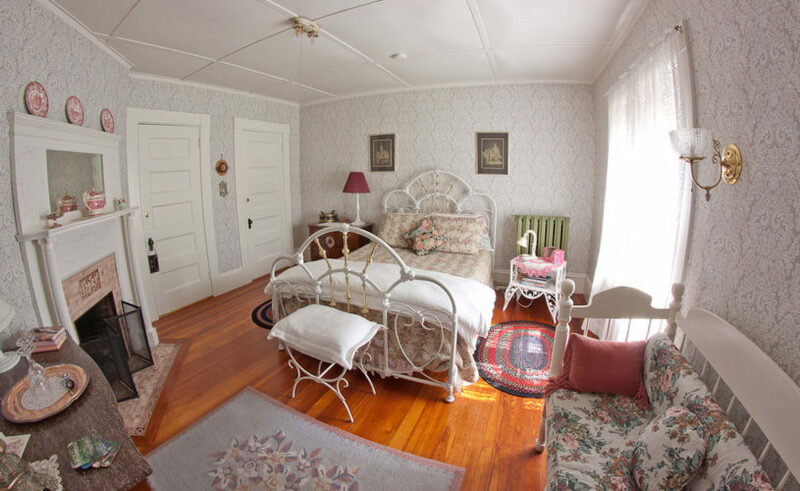 Our “Tourmaline Room” makes for charming second-floor accommodations in our bed and breakfast in Belfast, Maine. 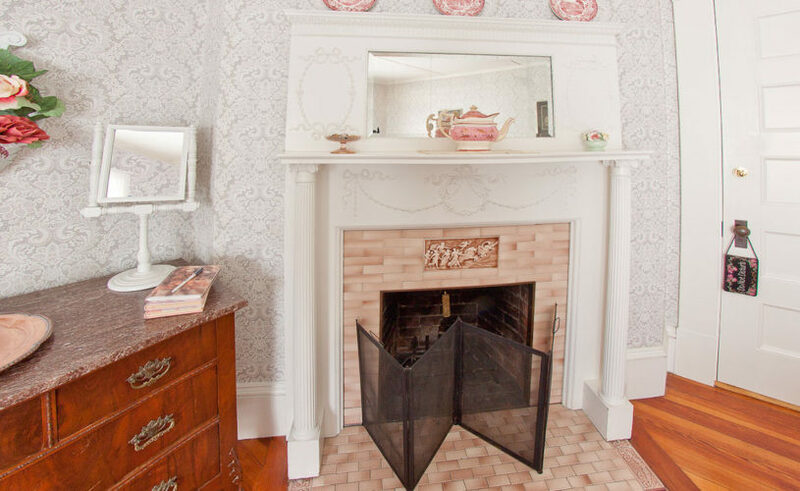 The room features hardwood floors, a Victorian columned fireplace, and is decorated with a beautiful, white, heart-scrolled iron-and-brass queen bed, marble-topped bureaus, and numerous antiques lovingly collected from around Maine and New England. 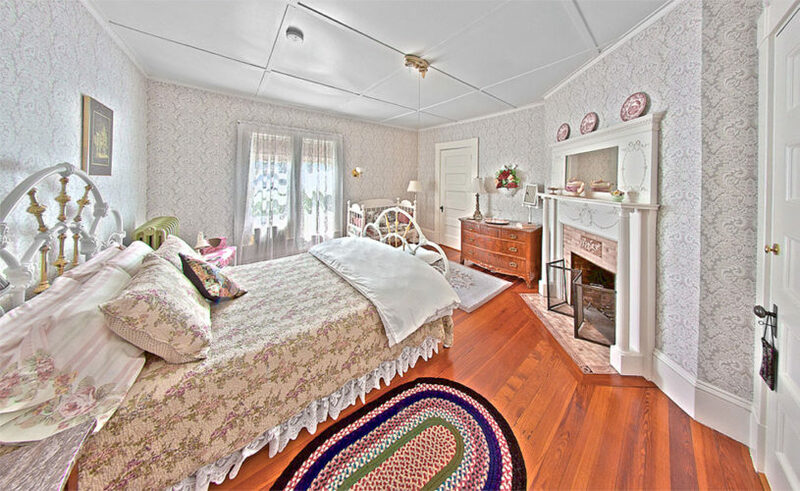 The window and walls of the room are draped in lace and chintz. Perfectly romantic. 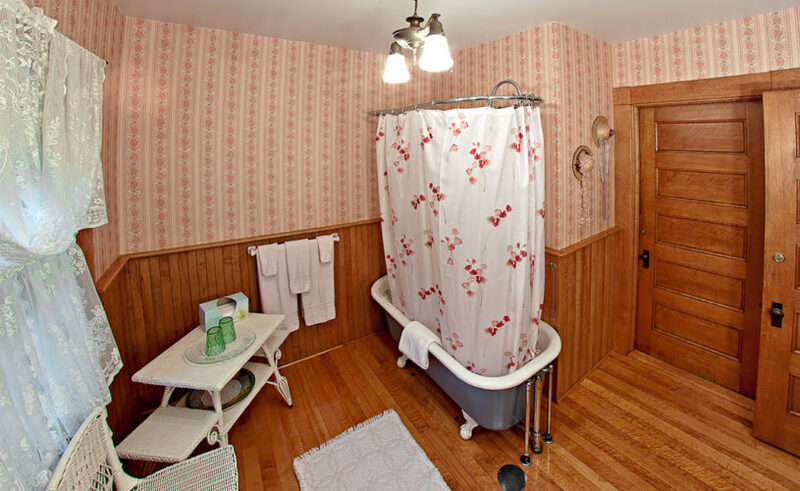 Tourmaline Room also offers a private and luxurious detached original bathroom with beautiful birds-eye maple woodwork and a Victorian claw-foot tub with shower, ideal for relaxing champagne bubble baths! 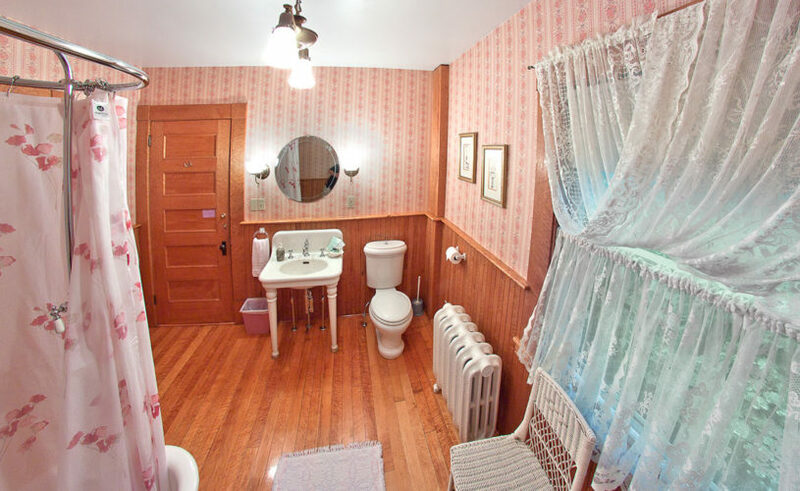 The bathroom is located approximately ten feet from the guest room.